GOLD bulls are puzzled why gold hasn’t performed in the face of geopolitical uncertainty and a surging oil price. Veteran traders and analysts such as Jeff Rhodes of Rhodes Precious Metals Consultancy contend that the main reason is the stronger US dollar. Gold is an effective currency and historically when the dollar has been strong, it has weakened and vice versa. When gold failed to break through $1,365 an ounce April peak, holders became impatient and began selling, Mr Rhodes recalls. When the price slid through the 200-day moving average of $1,307, selling accelerated driving gold down to $1,282 before the slight revival to $1,296 an ounce. The other reason for gold’s disappointing performance has been rising US Treasury bond yields with the two- year US Treasury bonds at 2.53 percent, five-year at 2.85 percent and 10-year yield of 3 percent. These yields have underpinned the dollar which has also risen against the euro because of Italian and Middle Eastern uncertainty. Generally, when prices are weaker, physical demand from jewellers and hoarders in China, India and other emerging markets, increases. According to the World Gold Council (WGC), which is backed by mining companies, China at 967 tonnes and India at 666 tonnes last year, accounted for 53 percent of global consumer demand last year. This consumption tends to stop any deeper gold price slide. Moreover, oligarchs and other super-rich investors continue to buy as they wish to hide their wealth under the cover of gold. Central banks from Russia and China to Turkey have also been diversifying their reserves by buying gold. These nations do not want to be dependent on the dollar as they fear US reprisals, sanctions or trade protectionism. Historically, however, American, European and Japanese investment and speculative buying have spurred gold to new heights. So far, low global short-term interest rates, worries about inflated tech and other equity prices, oil’s ultimate impact on inflation and Middle Eastern conflicts, have failed to reignite notable investment interest. The global stock of gold estimated at 190,000 tonnes by Metals Focus is a greater influence on the gold price than annual mine production. The swing factors are investment and speculative demand. Future mining output and development of reserves will be dependent on higher prices. These counter-balancing issues have kept gold within a wide US$1,250 to US$1,365 trading band. 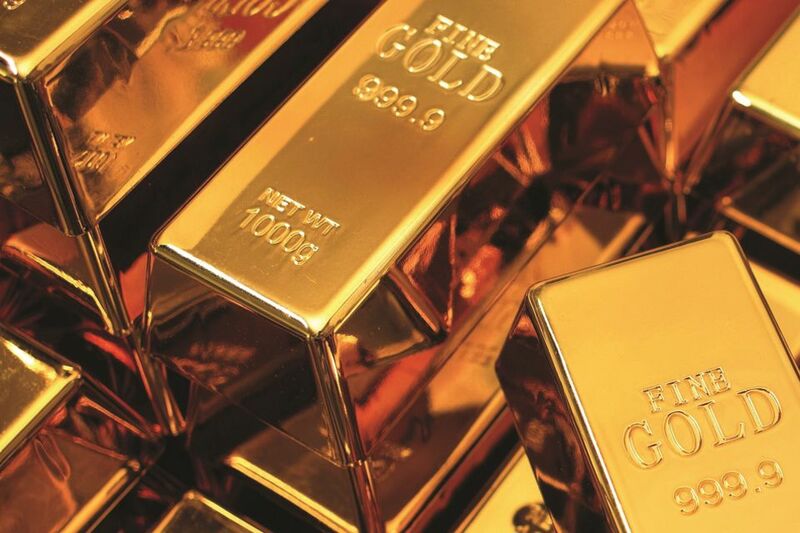 The WGC has issued a 30-year analysis report on what the gold market would be in 2048. Obviously, economic growth and wealth creation in massive population nations such as India and China are likely to boost demand in the long run. John Reade, head of research at the WGC, contends that “in the near term” Indian gold demand may increase substantially if the government succeeds in raising rural incomes. This demand could largely be met from the 25,000-tonne stock of gold which is already in India. In China, traditional 24-carat gold jewellery will become much less common and 18, 22 and modern 24-carat jewellery will predominate. Other emerging markets such as Vietnam, Indonesia and Cambodia are likely to drive gold demand in South-east Asia, while demand in Africa may increase, he maintains. Meanwhile, gold’s potential role in money laundering, smuggling or tax evasion is being addressed by governments, Mr Reade contends. Sliding equity and bond markets and a weaker dollar may also bolster gold. Greater amounts of bullion will also be used in electronic and technical devices in coming years, Mr Reade predicts.